My students are amazing learners. Seeing the growth they make each day brings a smile to my face. They have struggled and yet have found the perseverance within themselves to tackle the challenges their learning disabilities bring to the table. For some time I have been building ways to bring technology into my building. 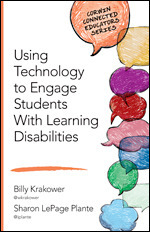 Some have been resistant to the idea of assistive technology bring provided by us. I respect their position, we are a school to build skills, not to accommodate them. However, there are some students who really need us to teach them how to use the tools that will help them be successful once they leave us. There was also the challenge of what technology tools to use to support #dyslexic students. (I will use the term dyslexic to really mean all students with learning disabilities such as dysgraphia, dyscalcula, processing disorders, ADD, executive function, etc…) Many programs are expensive, laborious, and time consuming to use. Others require a dedicated space to work with a student to train on usage, and we don’t have any spare space. Additionally, there was a personnel difficulty, could we dedicate one person to work on #assistivetech throughout the day? Given the pedagogical disagreements on the incorporation of technology for that purpose, that really was not a path to push. But I knew we needed to provide some sort of support for students through the use of technology. Then with a leadership change, the idea of the incorporating technology was a yes! (thank you @bnpowers) First we implemented a BYOD program, and then developed a 1-1 iPad program for 22 7th & 8th graders. These middle school aged kids are the perfect audience to incorporate technology to support and enhance their learning. They have been through several years of direct skill instruction and now need to learn to access content. @Edmodo, take notes with Notability via @gingerlabs, learn Social Studies, create assignments in Drive or Pages, review math skills with iXL, study with Quizlet and access books with downloads from Bookshare is huge. The students are quick to find new apps and tools to support their learning and with it all in one device, the tools they need are always there, on hand, ready to access, without the bulk. So these iPads are not just learning tools, they are not just assistive tech tools, they are #dyslexiatech. They are able to easily be adapted to fit the individual needs for each learner, providing them in one place the content they need, the tools to support access to and curation of that content, and the varied forum to demonstrate their knowledge. I give a big ovation to the teachers who have taken on this venture with our students. They began as iPad/#edtech novices, and have quickly embraced and owned this path. I love seeing the new tools/sites/apps they incorporate in ways that I wouldn’t have imagined. They impress me with their creativity and eagerness to do more and I thank them for inspiring me with their enthusiasm. 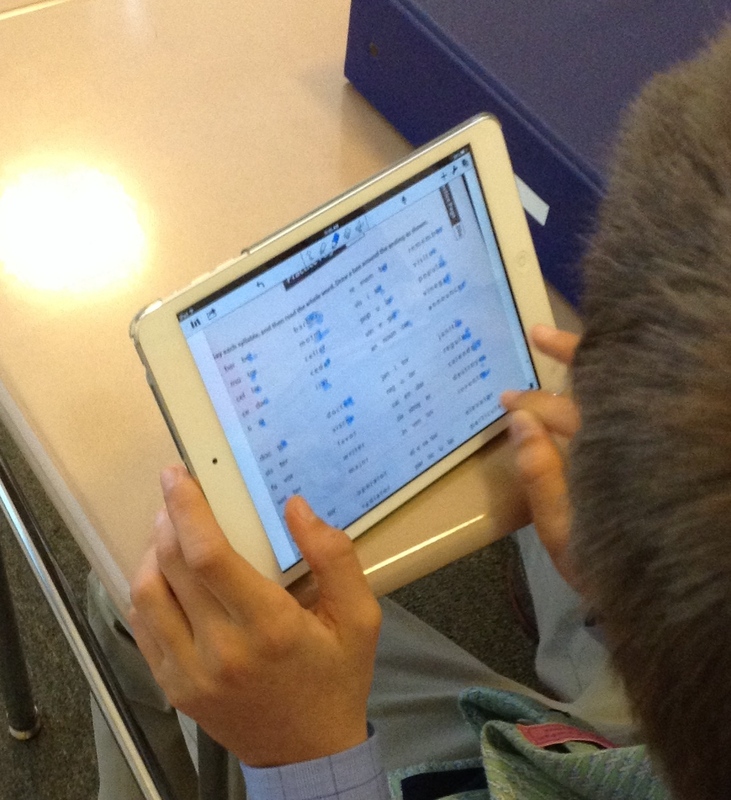 The best part about the iPad is that it is a desirable tool for students. They don’t shy away from using them; they are eager to have them out and are active participants with their usage. I simply need to check in from time to time to teach them new tools, and encourage the usage of the iPads in certain ways to meet needs. Yes, there are the pitfalls of distractability and ease to hop in and out of apps they shouldn’t be in, but as time as gone on, this has become less of an issue. The novelty of that has worn off, and the students are eager to now spend time finding ways to use the device for class. I am excited to see how we can continue to grow the iPad as #dyslexiatech. It’s ability to engage students, address learning needs, and not require dedicated space and full time staff to implement is a definite fit for our program. The tools we are using with the 7th and 8th graders, are also being introduced to those with iPads as part of BYOD, as they fit the students needs. Given the iPad unconference in October, thought I would share these thoughts with you all. We all teach differentiated learners, identified or not. Thinking how technology can support them is a great conversation.